Hello, dear players of the uwow.biz project. 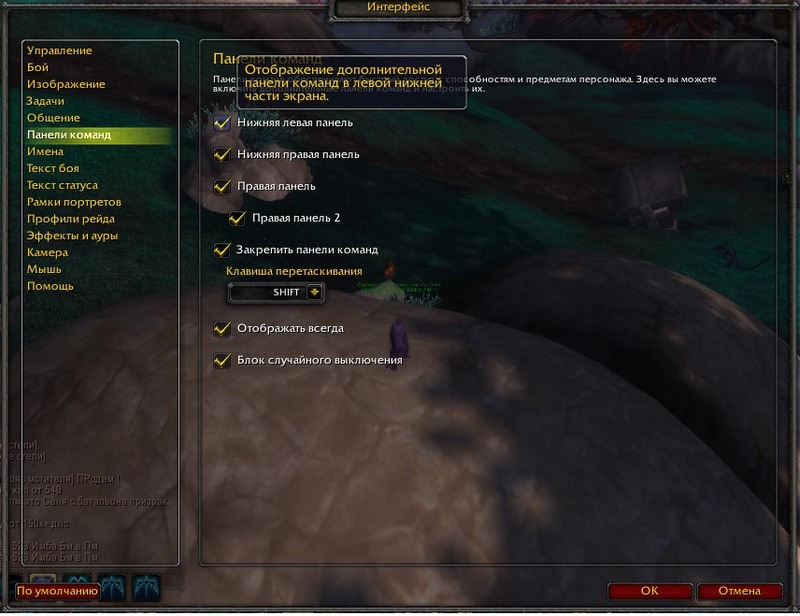 World of Warcraft game process may seems rather difficult for the beginners taking into account the fact that as soon as you enter the game you face a lot of interface details. It’s a rather difficult task to customize it for comfortable playing without having some experience. Today, we will have a talk about action bars and macros. This is a very useful subject not only for the beginners, but sometimes for the experienced players as well. That’s it for the action bars. That’ll be enough for the beginning but when it comes to the arena or raid you will want to simplify your life again by combining several abilities/actions in one button. To make it possible Blizzard invented another great thing, namely, macros. 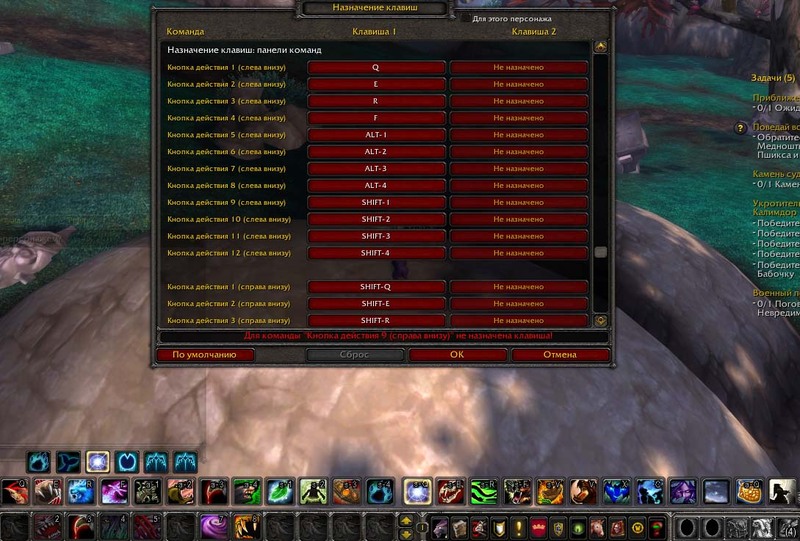 With the help of macros you may create simple «LFR flood” or really helpful combinations. But first things first..
Let’s start with a simple, but useful in raid, thing – burst. I will explain it on the example of Druid, but principle is the same for the other classes. Without macros, I would need to use 4 abilities (with maximum of boosts), but it’s much easier to combine them in one macro. Now we analyze how to achieve it. Well, to open macros menu you need to type /macro in the game chat. In the new window we choose icon and name for macro. I recommend you to choose wisely not to get lost in your own macros. Then press OK and turn to creation of macro itself. With such macro it’s not important whether I am in pvp or pve build because I can be sure that maximal possible number of bursts will be activated by pressing this macro. In the same way everything can be combined. Starting from a variety of skills and ending with receiving buffs before boss pull. It’s not difficult to guess, that [target=focus] is responsible for the target needed. The «focus» value means that spell should be used on focused target. Values can be absolutely different, starting from «self» and ending with «the target of the chosen target» or «the first group». These, perhaps, the most often used macros will help the beginners and not only to simplify their lives during arena battle or in instance. Now, let’s consider other useful macros but not is such details. Talents change macro and auto gear change macro. It’s very useful for those who change specs in raids, as, for example, druids who play as a bear and a cat. The name of the first set goes for the second spec and the second – for the first. Everything is very simple and effective. This is a typical example of macro with key-modifiers. It will be helpful for healers in 3x3. Upon pressing macro with shift – it is applied to focused target, without shift – to the target, with ctrl – to yourself. Such macro will simplify the choice of targets. In this article I said about the most simple, useful and universal command for macro creation. Hope, that written above will help you to simplify game process.